Hideous. This is the word my aunt used to describe the look of “some lady” she saw during a commercial for one of those “housewives” reality shows. This was as much information as I could get from her. She couldn’t recall the woman’s name, not could she recall the name of the show. All she could remember was the “hideous” image of the woman who apparently had undergone too many plastic surgeries. Juvederm is the natural way to look younger. A bit harsh, perhaps. But my aunt has never been known to have a filter. In truth, she has always been the type of lady that said what most of us were thinking. Now, I haven’t seen the commercial myself. Nor do I watch any of those “housewives” reality shows. But I imagine a handful of the on-screen stars may have gone under the knife before. And that’s unfortunate. Because there is a much safer way to look naturally younger. Juvederm is the natural way to restore youth and facial volume. Juvederm Soft Lift treatments are becoming well known for giving people a more balanced and refreshed look. We’re not talking about face lifts here. There are no knives involved. We’re not talking about stretching your skin to the point where it looks plastic-like and unnatural either. Juvéderm Soft Lift treatments use smoothing injectables to help rejuvenate your face. Your wrinkles get smoothened out and your volume gets restored. It’s all about restoring your youthful look without making you go under the knife, without cutting into your skin and certainly without producing “hideous” results. If you don’t want surgery, but you do want to address the many signs of aging that may be appearing on your face, you may want to consider Juvéderm Soft Lift treatments. “It works well to enhance the appearance of the lips,” he also informs Lisa, addressing a question she has about other areas that Juvéderm can be used. Not surprisingly, Lisa also asks if there is anything to be concerned about. After all, hearing that “acid” is being used in the injectable may be off-putting to some people. Dr. Bull puts any fears to rest by explaining what “HA” is all about. “It’s a natural product,” he assures her, “Hyaluronic acid is found in the skin naturally. 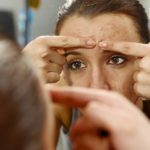 This is grown in the lab and it’s altered slightly so that it lasts longer than natural hyaluronic acids do.” Although Dr. Bull does admit that there is a small risk of bruising or bleeding, it is evident that Juvéderm treatments don’t require any downtime the way plastic surgery would. 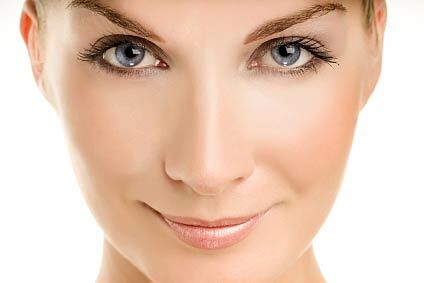 Juvéderm fillers, he mentions, can produce results that last up to and longer than nine months. This may very from person to person, but the results are immediately apparent. 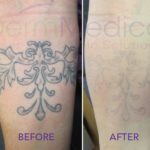 If you’re looking to turn back the hands of time without looking “hideous”, or having a “filler face”, it’s time to get more information about Juvéderm Soft Lift treatments. Feel free to contact DermMedica toll free at 1-866-861-3070, or if you are in Kelowna, call 250-868-3070.